David Solomon with a Virtual Reality headset to demonstrate its use and how it works by creating an art piece for a faculty member at Algonquin. 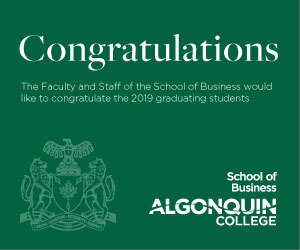 Faculty and representatives of Algonquin came together recently to discuss virtual reality’s future and how it will be useful to students. Virtual reality is a computer-generated simulation of a three-dimensional image or environment that can be interacted with in a seemingly real or physical way by a person using special electronic equipment. 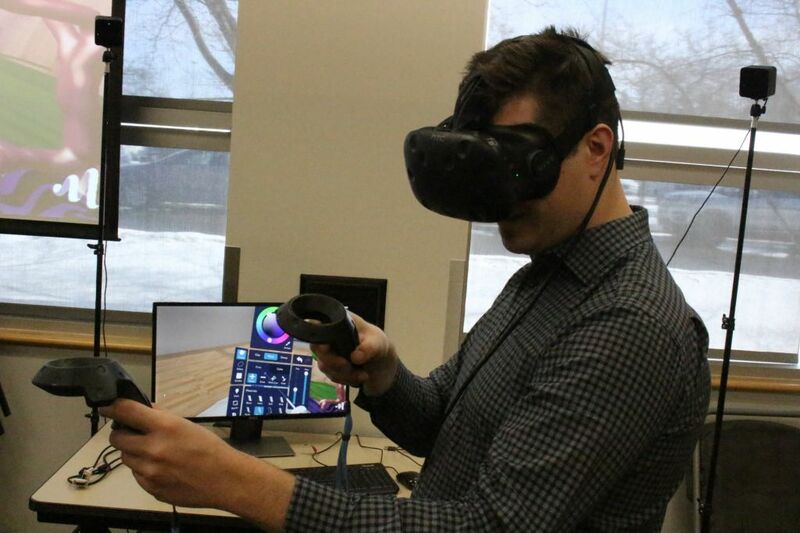 When Impact centre coordinator Matthew Jerabek was first introduced to virtual reality, it was a top-of-the-line headset that contained software created by Algonquin grads. He then decided to try on the headset and the crowd around him disappeared; all he could see through the headset was a starry night sky. Experiencing this transported him into a new world that sparked his curiosity and made him want to explore the extent of this world — and see what he could do in the virtual world. The software known as Masterpiece VR helps wearers reinvent and improve their work flow, which increases output and quality. But the Algonquin VR has many competitors. As a result, the team in the DARE District is improving the software every day. One of their successes is a multiplayer version on the software. The benefits of VR in the “real world” are thanks to the building information modeling software, which allows users to import architectural drawings into VR. It ended up recreating the architectural plans in VR, allowing users to explore the DARE District virtually, to look at every minor detail of the building. 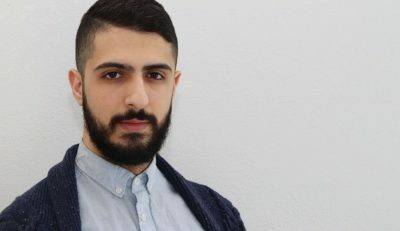 Anthony Scavarelli, a professor in interactive multimedia and design, is exploring VR and what it might become in the next five to 10 years, as well as its importance in our lives. Scavarelli puts the technology into perspective, however. Even with all the positive benefits, technology is merely a tool. It shouldn’t be what controls us or defines us since technology offers limitless possibilities, but reality has its limits. Virtual reality reaches into the future Reviewed by Oliver Mukendi on March 21, 2019 .